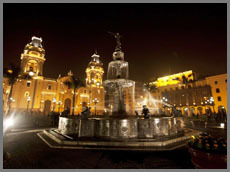 Destinations: Lima, Paracas, Cusco & Sacred Valley of the Incas. This program gets you in touch with 4 fabulous destinations in both the Peruvian coastline and the Andean territory. Begin us in Lima with city tour "The City of the Kings" and then prepare yourself for a unique adventure in Paracas and Nasca, both to the south of Lima. Overfly the enigmatic Nasca and Palpa Lines and be astonished by their incredible designs which are thought to be part of a gigantic astronomical calendar. Finally, board a motor-boat to the Ballestas Islands in Paracas, where you'll enjoy the sight of a fascinating wildlife including sea lions, Humboldt penguins and migratory birds. A choice you'll never regret!. Enjoy a guided tour through the City of Cusco and its surrounding archaeological sites. Discover the magic of the Machu Picchu Citadel, the most impressive Inca Sanctuary and one of the World's Seven Wonders. Visit the Sacred Valley of the Incas, be impressed by Ollantaytambo, located on the top of the mountains from which the view is overwhelming. 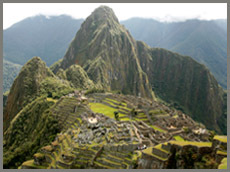 Destinations: Sacred Valley of the Incas, Machu Picchu, Cusco, Paracas, Nasca & Palpa Lines. A week's journey you won't want to miss, this program gets you in touch with 3 fabulous destinations in both the Andean territory and the Peruvian coastline. Visit the Sacred Valley of the Incas; appreciate the spectacular Salt Mines of Maras and the elliptical agricultural terraces of Moray. Be impressed by Ollantaytambo, located on the top of the mountains from which the view is overwhelming. Discover the magic of the Machu Picchu Citadel, the most impressive Inca Sanctuary and one of the World's Seven Wonders. Enjoy a guided tour through the City of Cusco and its surrounding archaeological sites and then prepare yourself for a unique adventure in Paracas and Nasca, both to the south of Lima. 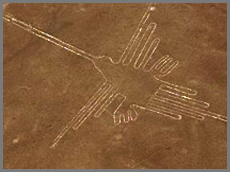 Overfly the enigmatic Nasca and Palpa Lines and be astonished by their incredible designs which are thought to be part of a gigantic astronomical calendar. 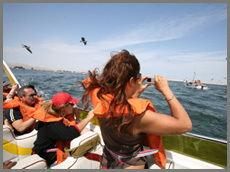 Finally, board a motor-boat to the Ballestas Islands in Paracas, where you'll enjoy the sight of a fascinating wildlife including sea lions, Humboldt penguins and migratory birds. A choice you'll never regret!.